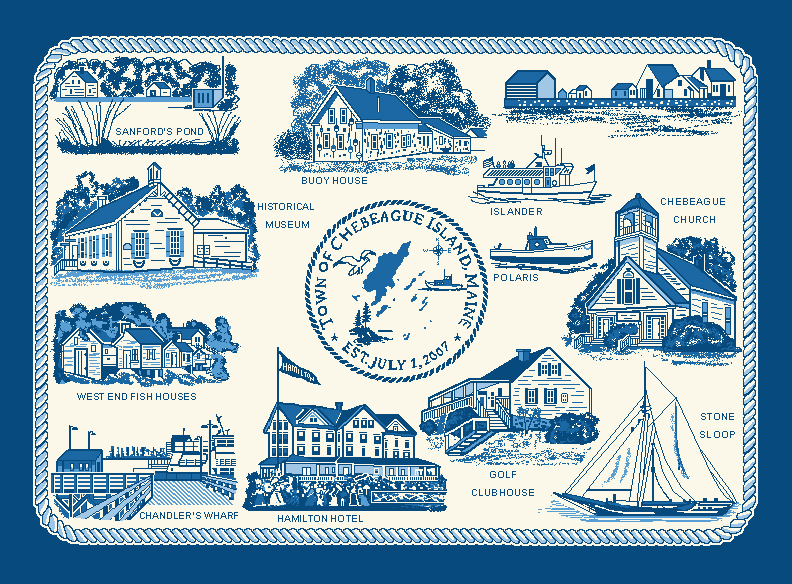 April 11, 2017 - The Chebeague Island Historical Society is taking orders for a newly designed Chebeague throw. The new throw is 3 ply and 48in X 68in and has many new places including Sanford's Pond, the Islander, the Town seal designed by Martha Hamilton, and much much more. Available in crimson, green and blue, the throw is sure to add a splash of color to any decor and keep you cozy on a cold winter night! Click here to see the design! The throws will be available the summer at the Museum Gift Shop for $60 plus tax, but you can order yours in advance and save $5. We have rolled back the price to that of the original throw - $55 plus tax for one week only! If you want to take advantage of this advanced sale email chebeaguehistory@gmail.com or call the Museum at 207-846-5237 by April 19 and leave your name, address, phone number or email and tell us how many of which color you would like. We will contact you when they come in and you can pay at that time.